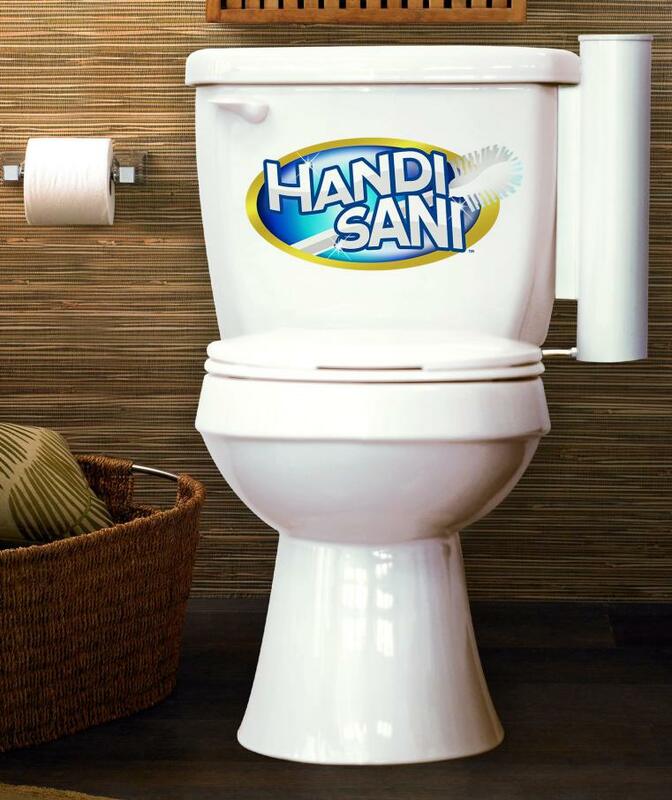 The Handi Sani™ sanitizes your bowl and brush… with every flush! TEMECULA, Calif. - Jan. 30, 2015 - PRLog -- Introducing the Handi Sani™, a brand new product that protects your family from harmful bacteria found on your toilet brush and protects your toilet from harsh chemicals found in sanitizing tablets. The Handi Sani™ cleans and sanitizes your brush and your bowl at the same time. Children, pets, as well as adults who come in contact with a contaminated toilet brush can become sick and contaminate others. Handi Sani™ easily clips onto the side of the tank and redirects the water from the refill tube into the Handi Sani™ where it activates the sanitizing tablet at the bottom and cleans the brush in the same motion. That now sanitized water drains out the bottom and right into the bowl. No wasted water, no trash, no energy required. Handi Sani™ will be available through KickStarter on March 1st. About Handi Sani™: Robert & Kathleen Rybarski are a husband and wife inventor team with over 20 years of experience in patented cleaning processes. From medical to industrial to home cleaning, Kathy and Bob are experts in creating products to help keep you and your family clean and healthy!